Home » GBP » Pound to Indian Rupee Exchange Rate Forecast: Will GBP/INR Drop after Customs Union Meeting? in GBP, GBP to INR, INR. The Pound (GBP) has risen by 0.6% against the Indian Rupee (INR) today, thanks to a weaker US Dollar and optimism about potential post-Brexit trading. Specifically, Norwegian Prime Minister Erna Solberg has supported the UK joining the European Economic Area (EEA) after Brexit. This would allow the UK to maintain single market access while still parting ways with the European Union, potentially satisfying both sides of the Brexit argument. Optimism generated by this news could fade in the near-term, however, when Prime Minister Theresa May holds a Brexit subcommittee meeting on Tuesday. The PM will reportedly be discussing possible trading arrangements after Brexit, potentially to the level of agreeing on a unified approach to post-Brexit trade. Problematically, however, it doesn’t look like tomorrow’s meeting will produce a decisive and satisfactory result. If this meeting fails to produce a clear consensus on what kind of post-Brexit trade the UK should aim for, the Pound to Indian Rupee (GBP/INR) exchange rate could slide. Is GBP/INR Exchange Rate Volatility Incoming on UK Inflation Rate Data? Looking further ahead, the Pound to Indian Rupee (GBP/INR) exchange rate could also be affected this month by UK inflation rate figures released on 23rd May. The inflation rate in April is forecast to have risen, both for the year-on-year and month-on-month readings. Higher inflation could devalue the Pound (GBP) and cause a loss against the Indian Rupee (INR). This is because if inflation rises and UK wage growth is reported to be slowing, UK consumers could again face ‘wage squeeze’ conditions. This is when wage growth is below the rate of inflation, which means that incomes are effectively being reduced because of higher prices. In turn, this can lead to reduced consumer spending and eventually, falling GDP growth. 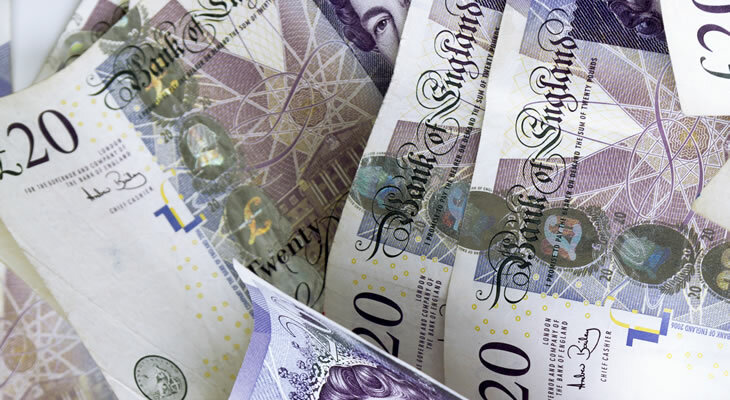 The odds may seem stacked against further Pound to Rupee (GBP/INR) gains in May, but Sterling could still rise against the Indian Rupee (INR) if oil prices stay high. The Rupee has been devalued recently because of surging crude oil prices; India is a major importer of oil so higher prices make it more expensive to obtain. If crude oil prices remain restrictively high, the Rupee could continue to drop against the Pound (GBP) regardless of any Brexit-linked difficulties.